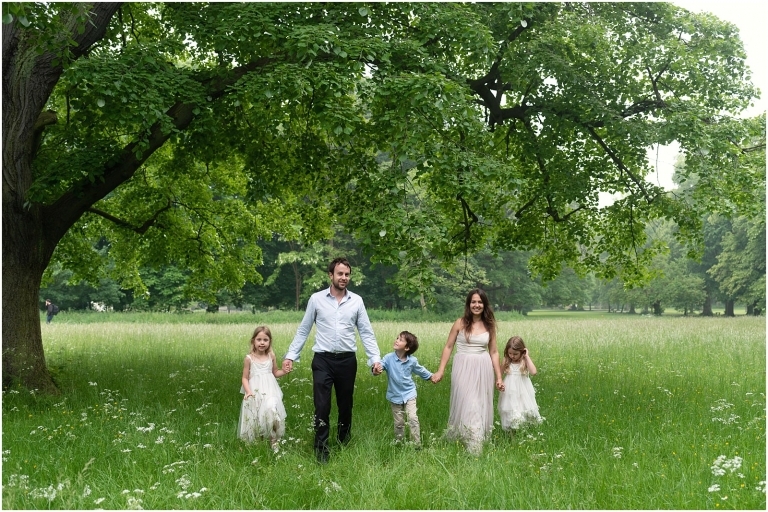 Wimbledon family photography is a real favourite of mine as I have been living in Wimbledon with my three children for over 10 years and I love capturing family portraits for other families in this area. I met up with Audrey and Nicole, the lovely twins, big brother William and their parents in their favourite local park. We spent some time exploring and playing; we picked some flowers, made up some new games (flower shower for mummy and daddy); and captured these relaxed and meaningful family memories for them. If you are looking for a Wimbledon family photographer please head over to my contact page and tell me all about your story.